With yesterday’s landmark Supreme Court ruling upholding the individual mandate at the heart of the Affordable Care Act, or “Obamacare,” it seems everyone in the country is either gloating or bemoaning the Court’s interpretation of the Constitution. Legalizing a punitive tax is an interesting precedent to set, one with many ramifications for both sides. But we’re not concerned about the politics of yesterday. We’re looking ahead toward tomorrow and where this bold new precedent could take us. If the idea behind the individual mandate is that every American deserves affordable health care coverage – and thus should be taxed if they don’t buy it – surely there are other things we should be punished for not buying. #11 – Solar panels. Why? First of all, they’re cool. Slap a bunch of these bad boys onto a geodesic dome and Voila! Instant EPCOT! But beside the Buckminster Fullerness of it all, they’re practical. When Big Corporate creates sentient machines that rise up against their fleshy masters, you don’t want to be some gas-guzzling, SUV-driving yuppie type. When your enemy is equipped with infrared eyes, your carbon footprint could get you killed. Clean, cool, green energy will keep you hidden (and alive) long enough to fight back. (You might want to make sure you hold on to your guns from #12, too.) Although, maybe you’ll get lucky and the machines will run on the Windows OS – if they don’t lock up, they just might kill themselves when they become self-aware. #10 – Boats. Why? 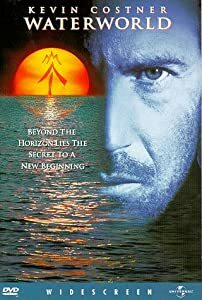 Have you seen Waterworld? Sea levels are rising, and we’re all gonna die unless we have boats. Maybe you think you can pull a Costner and adapt some gills. It’s your funeral. Plus, if everyone else in the country buys a boat, I don’t have to. I can just take the penalty … or as I like to call it, “the boat moocher’s tax.” And I plan to mooch. Oh yes, there will be mooching. #8 – Beer. Why? Because it’s beer. I’m glad you see my point. Let’s move on. #7 – Crappy Old Pickup Trucks. Why? For the sake of the one guy in his group of friends who always has to loan his truck to everyone else. You know what I mean. His friends either “don’t do pickups,” or they don’t want to scratch up their $50,000 rolling cup holder of a TINO (truck in name only) hauling things they need for their own house. Don’t be those friends. If you live anywhere other than a homeless shelter or a federal penitentiary, sooner or later you need a truck. Accept it, or pay the price. By the way, I’m moving next month, and I could use a … Oh, never mind. #6 – Live Chickens. Why? 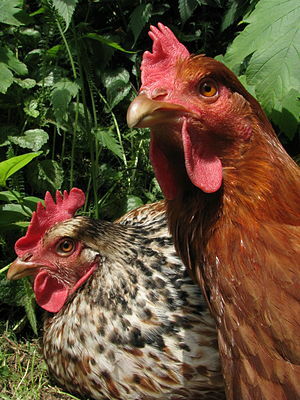 Because chickens are funny, and it would be hilarious if there were a law requiring everybody to own at least one. #5 – A Nice Cabernet. Why? See #8. #4 – Charcoal Grills. Why? Because anyone knows that steaks cooked over charcoal taste better than those cooked with gas. Not only is grill mastery is required of manhood, but when a man doesn’t have a grill of his own, he ends up touching some other man’s grill. And I’m pretty sure that’s forbidden in the Ten Commandments. Don’t violate federal law and the Law of God. Buy a grill and keep your hands to yourself. #3 – Lawnmowers. Why? Because sooner or later the one you already own will become self-aware and try to kill you or practice civil disobedience by just not cranking. You want to have an extra one on hand for just such an occasion. #2 – Coffee. Why? Because America is the land of opportunity, the home of hard-working, hard-charging go-getters. But we’ll just be the home of lazy, sleepy, headache sufferers if we don’t get our coffee. Don’t worry if you don’t even like the stuff. I’ll drink your share. If there’s one thing you should be punished for not buying, coffee is it. 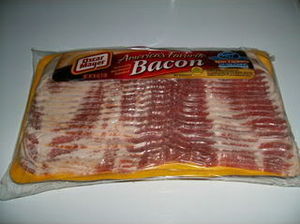 #1 – Bacon. Why? We’ve said it before, but it bears repeating: bacon is awesome. It makes everything better. If they would have wrapped the original Affordable Care Act in bacon, it would have passed unanimously. And with all that low-priced healthcare the White House is promising us, we’ve got to do our part to keep those doctors and nurses busy. These arteries aren’t going to clog themselves! The Supreme Court of Southerness finds your HOA unconstitutional.